Mark Occhilupo began surfing at age 9 at Cronulla. By his mid-teens Occhilupo or “Occy” had quickly progressed to become one of the sports most prolific athletes when in 1984 (aged 16) he snuck in past surfing’s old guard and into the world top 16.With his defined power attack, the goofy footer laid claim to some of the best backhand performances ever seen in locations such as Bells Beach and Jeffrey’s Bay, while also dominating in the more testing condition of Pipeline Hawaii, where he won the Pipe Masters in 1985. In 1988 Occy drifted away from competition surfing but returned almost 10 years later to professional surfing world stage and in 1999 he finally claimed his much-deserved world champion crown (at age 33) and he continued to test his mettle on the world surfing tour until competition retirement in 2006. Occy is renowned for influencing three generations of surfers both with his unbridled wave riding flair and his charismatic and extremely likeable nature. Barton Lynch has had a 15-year surfing career that started on the beach at Manly. 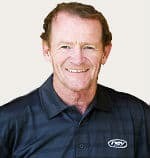 He spent 13 consecutive years in the top 16, earning a reputation as a brilliant tactical competitor as well as a forthright and articulate spokesman for the sport. His greatest competitive moment came in Hawaii in 1988, where he won both the Pipe Masters and the ASP World Tour title. 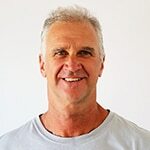 Barton loves writing and has been published in many magazines including Inside Sport Magazine, Surfing World, Australian Snowboarder and others. He is now known as one of the world’s leading surf coaches and expert commentators. 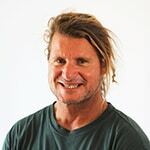 Neville (“Nev”) Hyman is an internationally renowned entrepreneur, having established two of the best known and most successful surfboard brands in the world: Nev Future Shapes and recently Firewire Surfboards. To compliment the Nev surfboard range, he set up Nev Japan, an apparel, shoes and accessories company. He was also a pioneer in the development of CAD/CAM (AKU Shaper) computer surfboard design and manufacturing. Nev is an accomplished entrepreneur, a philanthrocapitalist, a competent director and advisor with links globally through his various ventures. He brings a wealth of experience and knowledge to the NevEarth fund and NevHouse as well as a sincere passion for humanity and the environment.